Even with a brand as reliable as Toyota, life’s misfortunes can interfere with car longevity. Unless you are hording four-leaf clovers and rabbits’ foots, your car is bound to receive some beating–especially all the parts piecing everything together. Auto Parts are the guts of your vehicle; one part crumbling can place your entire ride on the fritz. 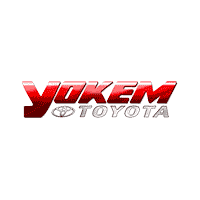 Fortunately, we at Yokem Toyota are proud to house a diverse inventory of car parts and accessories at our Parts Center in Shreveport. You don’t have to be a car expert to appreciate our extensive supply of genuine Toyota parts. Straight off the assembly line, these genuine parts specifically cater to your new Toyota model or used vehicle. And you don’t have to be a Toyota driver to enjoy our inventory either; we are stocked with an array of batteries, motor oils and tires suited for various makes and models. Just simply fill out our form below to order the parts you need for your vehicle! You can also give us a call or stop by!